All images by Eli Akerstein. Used with permission. Eli, like many other dance photographers, is focused on creating and capturing beautiful scenes that do the performer justice. He understands that work like this isn’t just capturing an artist, it’s a collaboration on creating your own unique vision on pixels. Eli: I took my first black-and-white film photography class, an elective, as a freshman in high school. Aside from the basics of camera usage, the class taught me to think about composition, contrast, and emotional power contained in a simple picture. It was a revelation that sparked my interest in the arts. While in college I started oil painting. This was an involved process and messy art form that required a lot of space, patience and a will to endure chemical odors! After graduating from college, to fill the creative void left upon not having the space and patience to create paintings, I picked up a camera again. It has been love ever since! Phoblographer: What made you want to get into dance portraiture? 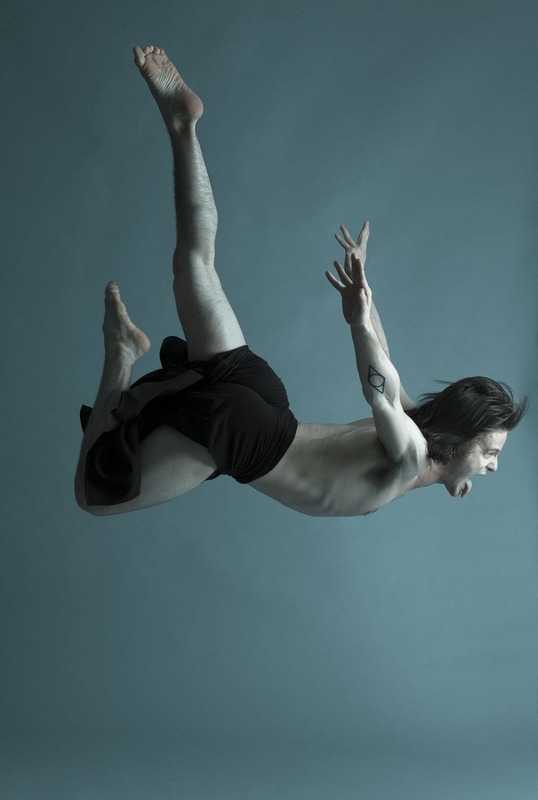 Eli: I began to photograph dancers in 2005, while living in Boston. My partner at the time was a choreographer and dancer. She lived and breathed dance whole heartedly. When she founded the contemporary dance company and studio, Urbanity Dance www.urbanitydance.org, I was right beside her. My supporting role became that of photographer through my interest in photography and her interest in capturing the emotion and movements of dance. 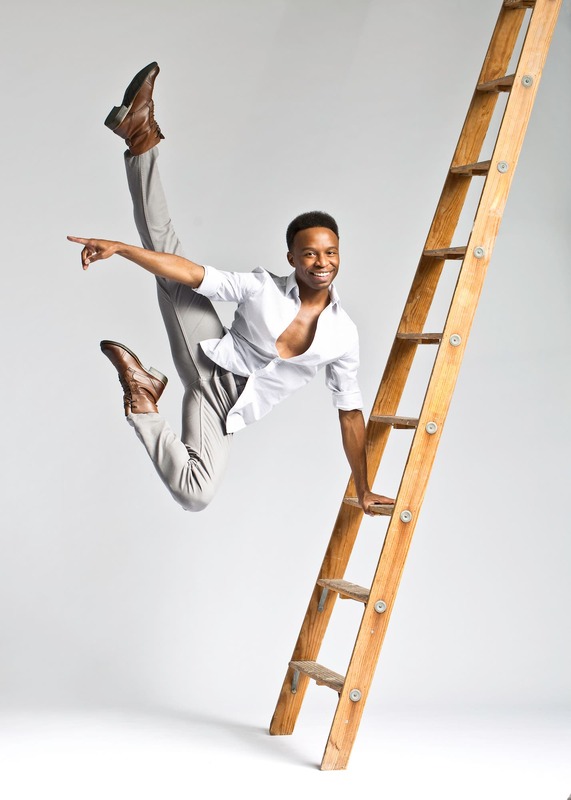 I began to take the necessary dancer head shots, show poster photos, promo photos and live dance photos. This experience helped me to decide my eventual career path. 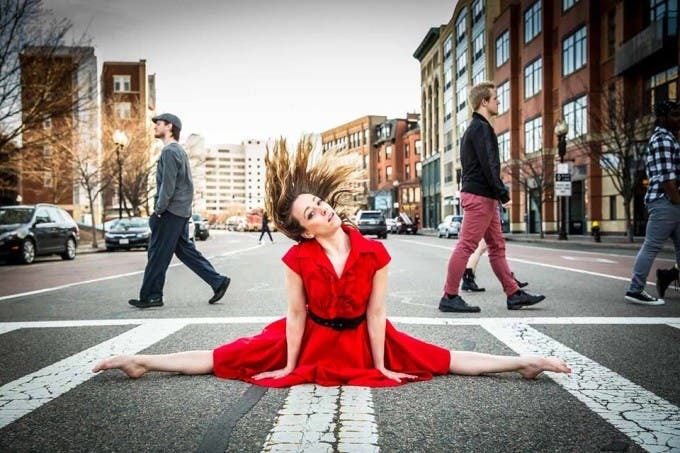 I still photograph for Urbanity Dance (which was just award the coveted ‘Best of Boston 2015’ award) as well as, many other professional companies on a regular basis. Phoblographer: This type of work is very collaborative not only because you’re shooting with another person, but another artist. So how do you usually go about doing this stuff? How much communication and planning is done beforehand with the dancer? Eli: Collaboration is certainly a major component to a successful shoot. 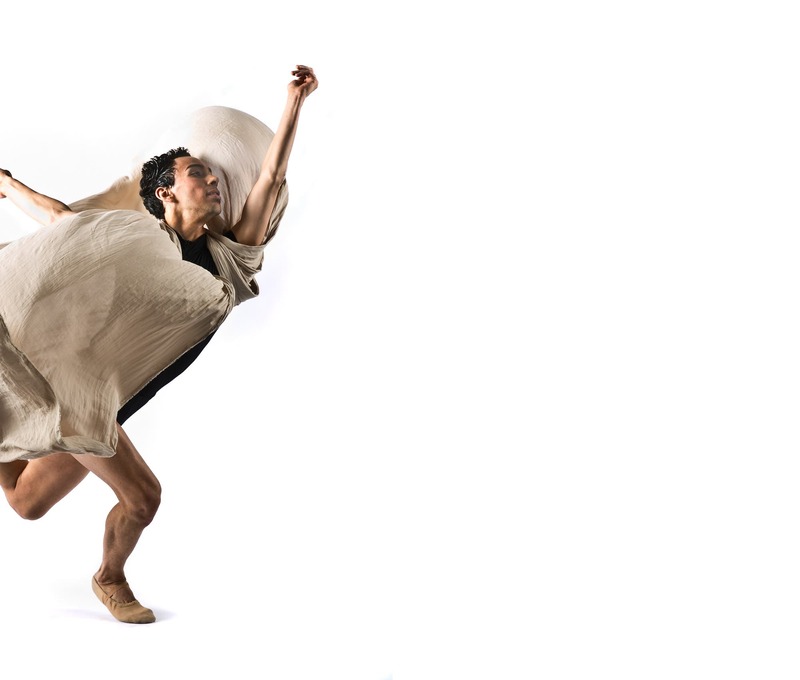 There are usually three distinct people involved in the creative process; a choreographer, dancer and photographer. Preceding a typical shoot, is a conversation on how the photos will be used and for what purpose. Some of the questions that I ask are, Is this for marketing materials? A show poster, for a specific piece? A new website? Is this a contemporary company or a ballet? What are the themes of their work? Do they favor a particular photographer or piece of work? What is the time frame of the shoot? Or is this simply a shoot that is intended as a personal project? Next, I like to establish a theme. This is created by the dance studio or dancer, that will embed throughout the shoot. This theme is typically composed of a simple word or phrase, and may be broad in nature or quite specific. Two examples are, ‘light & sound’ and ‘the pressures of ballet.’ We will then conduct an internet search for imagery that speaks to these themes and present them to each other. A discussion will ensure, which pertains to the impact of the imagery found and why it has had a certain impact. This step is important not only to make certain that we are thinking succinctly, but to establish a report and common language about the creative pursuit. This is a preliminary step towards a working relationship. A shoot that I recently scheduled was presented to me by a newly established dance company. Their theme is to capture an image of each of the four elements, air, earth, fire, and water. I think it is really multidimensional and I cannot wait to explore this with them! Even with so much planning, I must be prepared for moments of serendipity. I must trust that the preparation will be presented in my work, even if it’s a departure from the original plan. The more times you work with a dancer or company the less upfront work needs to be done and the better the outcome is in the studio. Just like dancing with a new partner, when you shoot together, you often learn when to lead and when to follow. Phoblographer: Where do you typically draw your inspiration from? How do you usually form your creative vision before a shoot? Eli: I love instagram and follow a lot of photographers of all genres. To constantly see new work pop up whenever I open the application is truly inspiring. Additionally, I am a major admirer of photographer Lois Greenfield. She has pioneered a specific style of studio dance photography and is just brilliant in her process and outcome. Her influence is certainly a part of my creative process. I hope to meet her someday – so inspiring! Phoblographer: How do you feel you’ve improved at shooting over the past year? Eli: I have honed in on a style of studio shooting that has allowed me to consistently shoot technically proficient photos is less time than ever before. Much of my business is shooting dance school student pictures, an endeavor I started in 2014 when I moved to Colorado from Boston. The improved consistency and timing of the shots, has allowed me to focus on interacting with the dancers. This has been paramount to providing portraits that are worthy of hanging on a wall, as opposed to one that may be forgotten in a box or drawer. I photograph each dancer in both traditional poses as well as action poses. As dancers love movement, it is often not until they are in motion, that one may see an authentic and enthusiastic expression on their faces. Phoblographer: You shoot both in studio and on-location. Which do you prefer and which do you think you and the dancer usually have more freedom with? Why? Eli: I am a studio photographer at heart. I love the control. Even when shooting on location, I bring my studio strobes. When in the studio on a clean background, there is no competition for attention from the dancer. The photo is about the subject, emotion and movement. I really like Peter Hurley’s book, ‘The Headshot’. Here he explains how he uses the same lighting and basic framing for every headshot he does, so that he may focus on the variable he cares about most; an authentic expression that conveys approachability and confidence. I think that I do something similar when shooting dance in the studio. By taking away variables I can focus solely on the intention of the shoot as previously established. Phoblographer: Are you selective about the talent you work with or are you open to working with anyone? Why? Eli: My selectivity with dancers depends on the type of assignment that I have and whether it is client work or personal work. When shooting a dance school my clients are young dancers, and I am thrilled to work with various levels of dance achievement and body types. It is my goal to provide a photo that will be cherished far beyond my time with the dancer. I feel privileged to provide families with a happy recollection of this moment in their lives. My girlfriend keeps a ballet portrait of her great-great-grandmother whom, was a professional dancer. Whenever she looks at this photo she feels a connection with this person whom she ever met. They were both dancers and to know that a photograph has brought her closer to her great-great-grandmother is really inspiring to me. It is my sincere hope, that I may provide a photo to families that will live on for generations. Phoblographer: Has there ever been a vision to you that was super, super hard to pull off in a photo? Which one? Tell us the story of that photo. Eli: Yes, absolutely. Thank goodness I love a good challenge! Prior to shooting dancer Juls Bicki, we had a lengthy conversation about the pressures of being a professional ballerina. She expressed the challenges of going into a rehearsal studio and never feeling good enough, flexible enough or and not having the perfect body. I found some imagery by Devin Mitchell that inspired me. His series on PTSD was amazing. I thought that perhaps we could pull off something like this in the dance studio. Our idea was to Photoshop a mirrored image of a pained dancer, to the main subject whom was a vision of the etherial ballerina. We started off in that direction but when it was not coming together in the way that we expected, I took a different approach. By moving forward with a simpler background and by focusing on the expression of movement, I was able to work with Juls to achieve our goal —just not in the way I intended. Additionally, this work speaks to a subject rarely discussed outside of intimate dance circles and dance photography, in which there is often a focus solely on beauty. A shoot will often turn out better if you go into it with a goal or vision. However, once you are in the studio you must give in to the process and let the shoot unfold as it may. It’s also important to recognize when something is just not working, to cut your losses and change focus. When striving towards a goal you may end up with some variation from the initial idea. This can still be a success! Eli: I have been a devout Canon user since 2005 when, I began to take photography more seriously. I currently use the 5D Mark III as my main body, with primarily Canon L series lenses. The 24-70mm f2.8 ii is on the body more than 80% of the time. Another favorite lens is the 100mm f2.8 IS macro L. I use this one for all of my headshots. It provides an amazingly crisp photo and is the perfect focal length for portraits. When shooting outdoors with the intention to capture more of the environment than subject, I will use the 16-35mm f2.8 L II. I prefer to shoot most of my work tethered into Lightroom. This helps to facilitate collaboration during the shoot. It enables me to provide immediate feedback to the dancer about what is working and what is not working during the shoot. A very important aspect of my setup is lighting. I have used a wide variety of lighting over the past decade however, I have happily settled upon the Paul C. Buff Einstein units. I have chosen these specifically due to their fast flash duration. This is essential to stop motion consistently, while maintaining sharp focus on every shot. Phoblographer: How do you plan on improving yourself as a photographer? Where do you plan to be as an artist one year from now? Eli: There are two specific areas in which I may constantly improve, conceptually and technically. From a technical standpoint, I try to watch a lot of tutorials on creativelive.com. I always learn something new from the photographer’s on shooting, posing and post-processing. Additionally, shooting as often as possible in circumstances in which there is some creative freedom, hones the technical side of shooting. One specific thing I try on every shoot with older dancers, is to set aside time at the end to try something new and different with lighting and/or props. Somethings that I try may not work out well. This is certainly the high risk, high reward portion of a shoot. Conceptually, I am extremely interested in shooting dance that can capture an idea. As I mentioned earlier, one of the most satisfying shoots from this past year was the shoot that visually explored the pressures of dance; ballet in particular. I would like to expand upon this to bring attention to this aspect of dance that is often neglected and only whispered about.